Quality and attention to detail are key themes running through all of our products, with an 'un-written' lifetime guarantee, we design and make all our products to give years of enjoyment and service for today and future generations. 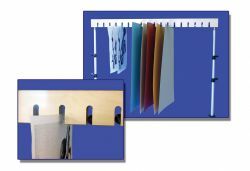 Studio easels are available in a number of formats and sizes to suit the majority of artists requirements and each has a range of accessories to compliment and enhance usability. Spare parts for most of the range of easels are available to keep them in tip top condition. Comfortable large plastic coated hand knobs are another feature of David Potter easels. If you have ever struggled with small fiddly wing nuts you will soon appreciate the difference that these make. 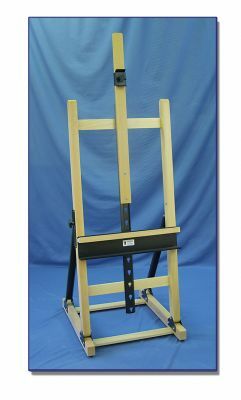 A popular recent addition to our range is a version of our Professional Studio Easel with electric adjustment of rise and fall of canvas, this has also been well received by disabled artists. Plan chests are one of our most popular products and to compliment our existing range of traditionally styled furniture in Beech & Oak we have recently introduced the 'Ash' range to appeal to other tastes. Made in North American Ash with contrasting Walnut handles. 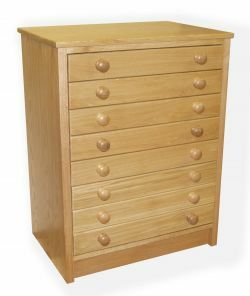 Our standard range of 6 drawer plan chests are available in A2, A1 & A0 sizes. In Beech or Oak ( and any timber to special order ) Drawers are dovetail construction mounted on high quality full extension ball bearing runners for long life. The drawers feature a back hood to prevent papers being lost down the back of the cabinet. Hand turned knobs finish off this beautiful piece of furniture. Art caddies are another popular choice for the artist trying to organise their workspace, they provide useful storage and an extra mobile work surface in the studio. Available in single and double formats. To add the finishing touches to a new studio there are bookcases in four sizes, filing cabinet, tables and stools. Finally, we offer a total bespoke design service for anyone wanting to completely kit out a studio from scratch, this can include built in as well as free standing furniture.